Watch a video introduction to Public History of the Holocaust. This video premiered at the conference. Please visit our page Conference Photos for a selection of pictures taken at the conference. 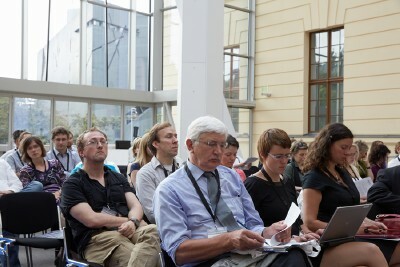 At Downloads, you can find presentations of the speakers. The digital age presents challenges as well as opportunities for historians and historical collection holders. History thrives through the Internet but is also unsettled by it. As more and more citizens not only have access to data, but can also handle and present facts, data and interpretations in a way they see fit, the need for historians to engage with this new digital public becomes obvious. The field of history is becoming more and more democratized as citizens engage in documenting and analyzing the past. At the same time, new digital techniques and methodologies offer new perspectives on cooperation within the humanities and on integration of data. Research infrastructures for history can address needs both from researchers and a more general audience. They support quality representation of the past and citizen engagement in historical work. These developments are especially relevant for the history of the Holocaust, which has never been an exclusively academic undertaking. 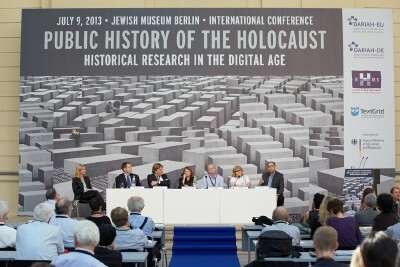 Today the field of Holocaust Studies continues to have a manifest public dimension. The Internet has created a new public space where experts and a general audience can converge to write and analyse history together and history truly becomes public history. 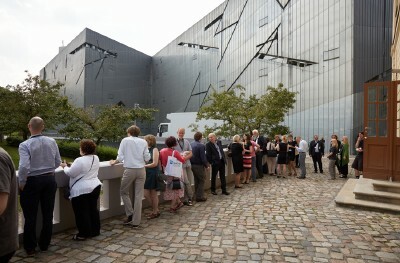 An international conference in Berlin for researchers and policymakers will cover the challenges for historical research on the Holocaust in the age of the Internet and the possibilities of meeting these challenges through new forms of digital research infrastructures. This event is organised by EHRI (European Holocaust Research Infrastructure), DARIAH (Digital Research Infrastructure for the Arts and Humanities) and TextGrid, and funded by the German Federal Ministry of Education and Research (BMBF). Public information on the Internet requires the use of critical sources for reference and authority. Otherwise, the freedom and opportunity to publish anything anywhere can lead to the dissemination of misleading information. Therefore, practitioners of history, scholars or 'amateurs', need new approaches, enabling them to use the Internet in such a way that the abundance of data and archives is turned into overview, context and connection. For this reason, in the humanities, research infrastructures are being developed that are committed to providing quality information and to disseminating research methods and best practices in research data. 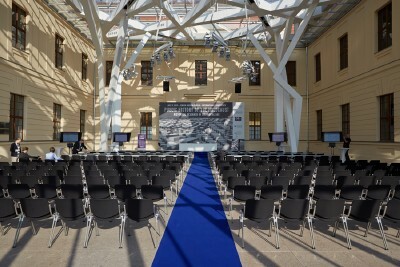 The conference will present initiatives by several European and German funded research infrastructures for the humanities to disseminate and integrate historical information about the Holocaust and historical-critical methodologies to digitally analyse these documents. DARIAH is a pan-European digital research infrastructure to support integrating and preserving research data and digital research practices in the arts and humanities. The TextGrid project provides researchers with services and tools for analysing text data in distributed digital archives. 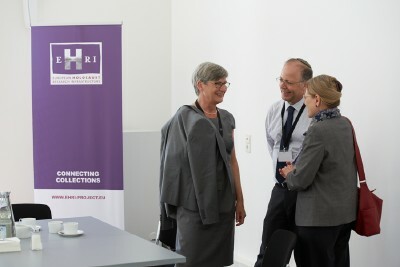 EHRI supports pan-European Holocaust research in identifying and publishing Holocaust material. It works together with DARIAH to provide access to critical and scholarly resources on the Holocaust and to ensure the long-term availability of these materials. Conny Kristel - Senior Researcher / Project Director EHRI, Director DARIAH EU - NIOD Institute for War, Holocaust and Genocide Studies - The Netherlands - c.kristel@niod.knaw.nl. Heike Neuroth - Head, Research & Development Department / Project Director TextGrid, DARIAH-DE - Göttingen State and University Library (SUB) - Germany - neuroth@sub.uni-goettingen.de. Tobias Blanke - Senior Lecturer, Centre for e-Research / Director DARIAH-EU - Centre for e-Research, King's College London (KCL) - United Kingdom - tobias.blanke@kcl.ac.uk.